Although it seems that priorities can help influence Microsoft Project's scheduling deci sions throughout your project, priorities are actually used only in the context of leveling. 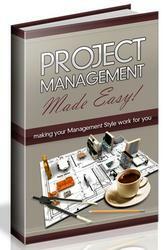 If you're working with Project Professional 2003, priorities also play a part in the Resource Substitution Wizard. When Microsoft Project is determining whether to split or delay one task versus another in order to level resources, it can use priority as one of its criteria, in addition to the other criteria you have set in the Resource Leveling dialog box. You can still set up your own uses of priorities. You can sort and group tasks by priority. You can also create a filter to see only tasks above a certain priority. For more information about how priorities work with the Resource Substitution Wizard, see "Assigning Tasks to Enterprise Resources" on page 666. 1 In the Gantt Chart or other task sheet, select all the tasks whose priority you want to change to the same number. To select adjacent tasks, click the first task, hold down the Shift key, and then click the last task. To select nonadjacent tasks, click the first task, hold down the Ctrl key, and then click each task you want to include. 3 In the Multiple Task Information dialog box, click the General tab. 4 In the Priority box, enter the number representing the priority you want for all selected tasks. 3 In the Field Name box, click Priority, and then click OK. The Priority column appears in your sheet (see Figure 9-29). Figure 9-29. Type or select the priority you want in the Priority field. 4 For any task whose priority should be other than the default, enter the number in the Priority field. Tip How many levels of priority do you need? Having 1000 levels of priority might seem like overkill, but the number of levels you use depends on what you're trying to do with your project, and how much control you want to wield over the leveling process. If you feel you only need 10 levels of priority, use 0, 100, 200, 300, and so on as your pri orities. Or use 495 through 505. If you need only three priorities—low, medium, and high, for example—use 0, 500, and 1000. Or use 499, 500, and 501. However, remember that tasks with a priority of 1000 are never leveled. 1 If you want to level only selected resources rather than all resources, switch to a resource sheet and select the resource(s) you want to level. To select multiple adjacent resources, drag from the first to the last resource. To select multiple nonadjacent resources, click the first resource, hold down the Ctrl key, and then click each of the others. 2 Click Tools, Level Resources. The Resource Leveling dialog box appears (see Figure 9-30). Figure 9-30. You can do a standard leveling operation using the defaults or you can set your own options. 3 Click the Level Now button. 4 If you selected resources, the Level Now dialog box appears (see Figure 9-31). Select the Entire Pool or Selected Resources option and then click OK. Figure 9-31. Specify whether you want to level all or selected resources. This dialog box does not appear if you had a task selected. In that case, all resources are leveled for the entire project. Your resources are leveled according to the default dialog box settings. To see the changes that leveling has made, see "Checking the Results of Leveling" later in this chapter on page 292.